1-800-Georgia - Your Connection For State Services! 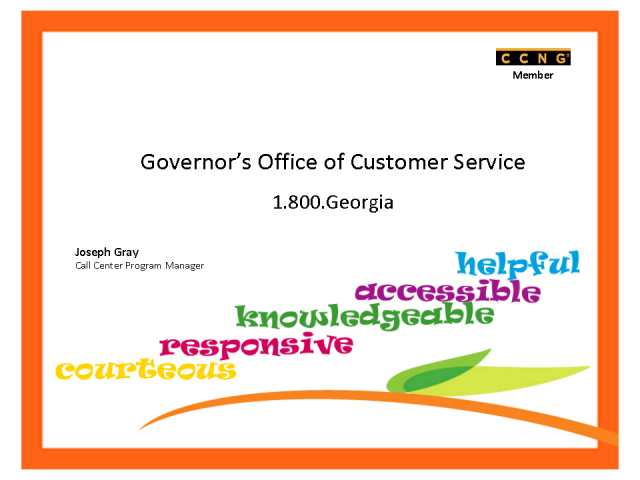 CCNG talks with member Joseph Gray, Call Center Program Manager, Governor's Office of Customer Service about the 1-800-GEORGIA, a service designed especially for Georgians who seek state services but don’t know who to call. 1-800-Georgia will be hosting a CCNG event and presenting to area contact center managers on their call center best practices. Title: 1-800-Georgia - Your Connection For State Services!